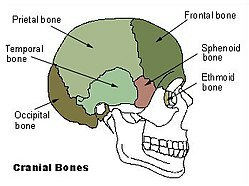 ↑ "The Skull - Gray's Anatomy of the Human Body - Yahoo! Education". สืบค้นเมื่อ 2008-02-07.